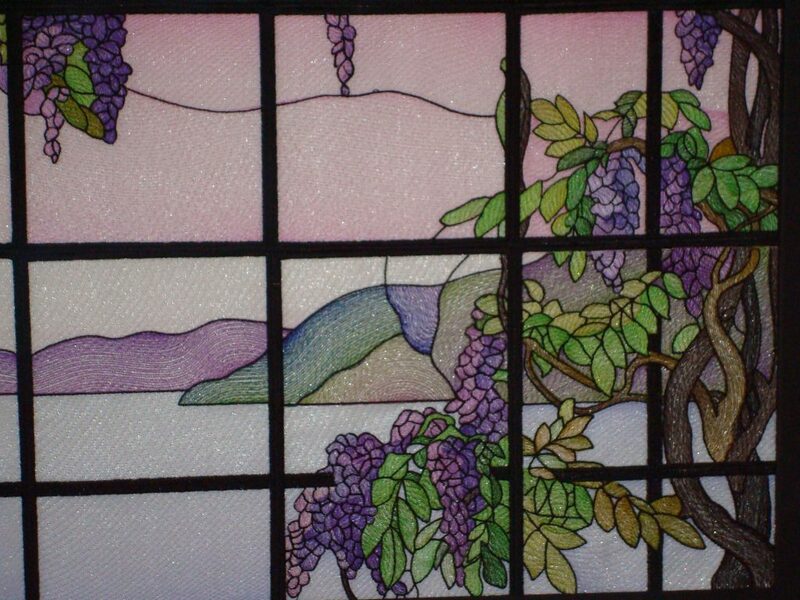 Linda’s Stained Glass Wisteria. It looks like she used either Angelina or perhaps Fairy Frost Fabric. This was done on organza backed with armoweft. Thanks Linda – I couldn’t remember what you had told me and I couldn’t find that email. It really has such a nice look – just enough shimmer, but also nice and smooth.